Did you know that compared to regular potatoes, sweet potatoes have loads more vitamin A, vitamin C and even more fiber? This means they're excellent for your digestion - something close to my heart with my hashimotos. For such a sweet tasting vegetable, they actually have a low glycemic index, meaning they release sugar slowly into the bloodstream, and are wonderful for distressing, promoting relaxation, calmness and a good mood. 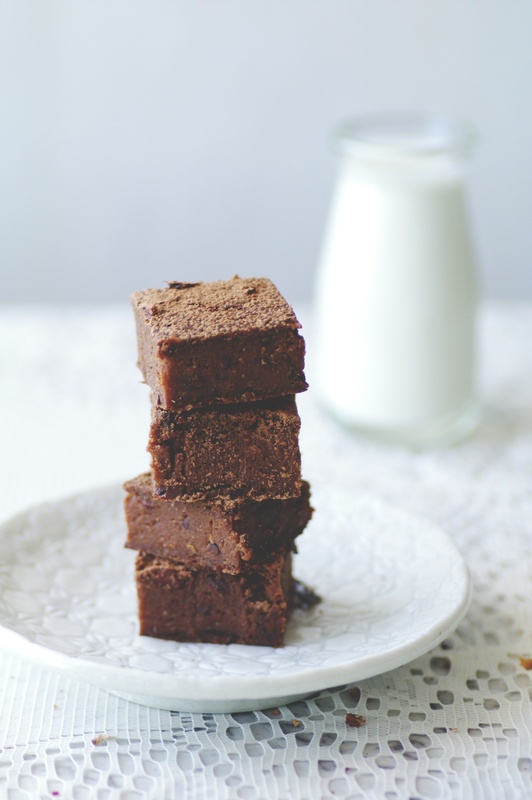 Used as the base for these gluten, dairy and refined sugar brownies - they well and truly deserve the name "treat". A treat for your entire body. You seriously can't go wrong!